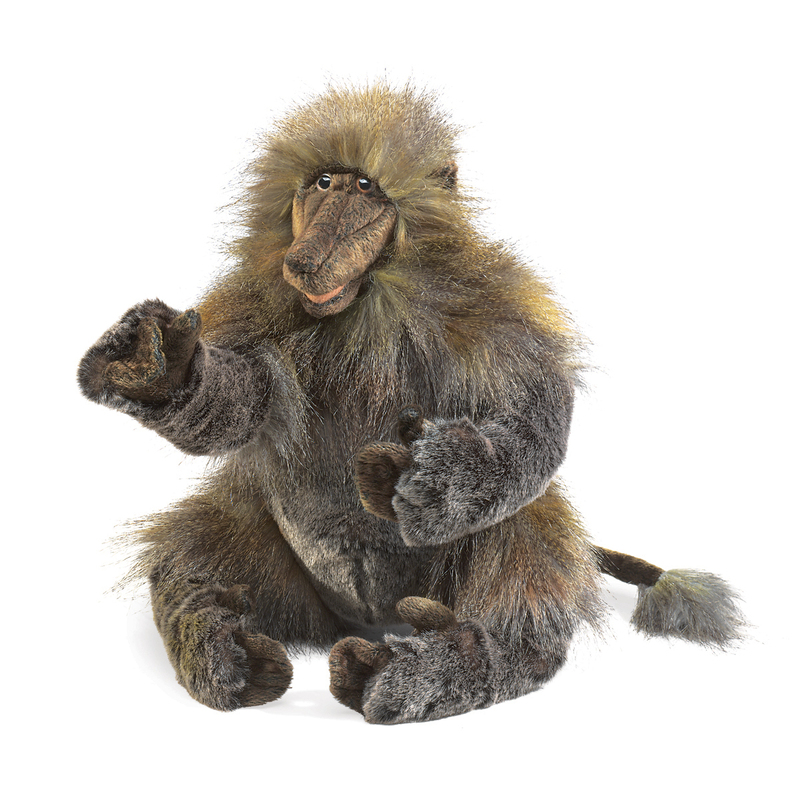 Home > Folkmanis Puppets > Baboon Hand Puppet Disc. 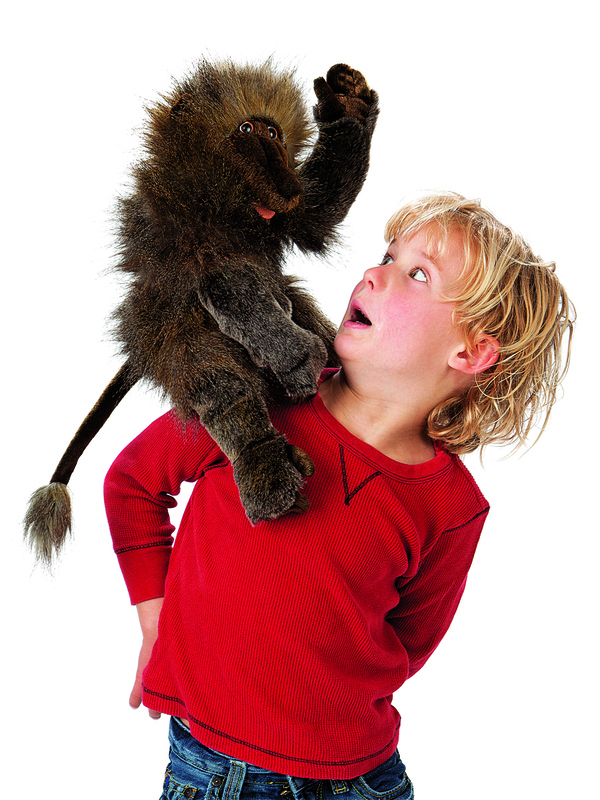 This old world monkey puppet has feathery plush with its distinctive hind quarters in pink suede cloth. 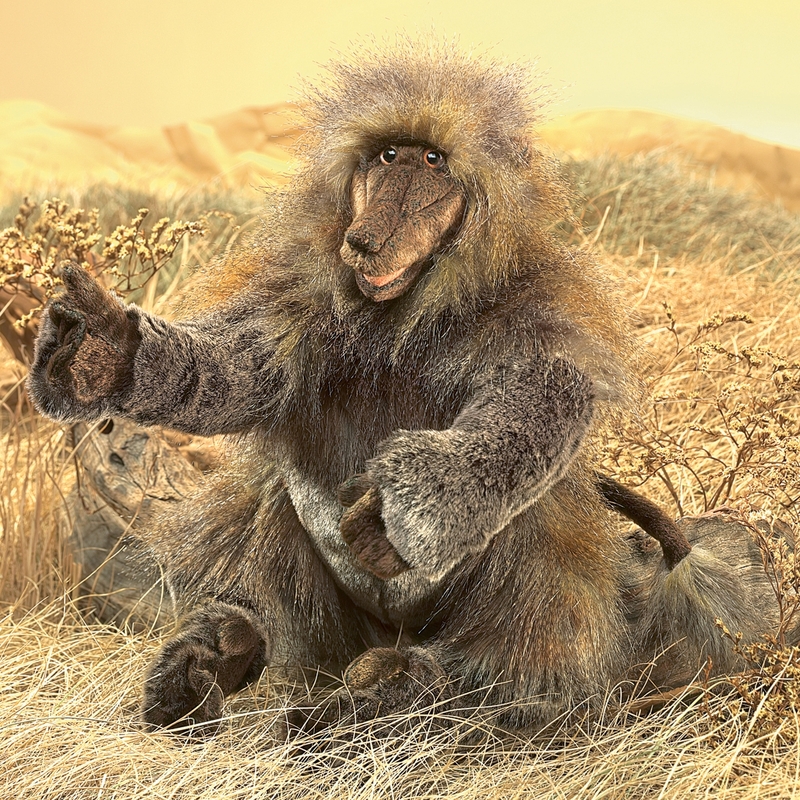 Animate the mouth and arms of this social primate. 18 inches tall, 8 inches wide, 9 inches long (45.7 x 20.3 x 22.9 cm). 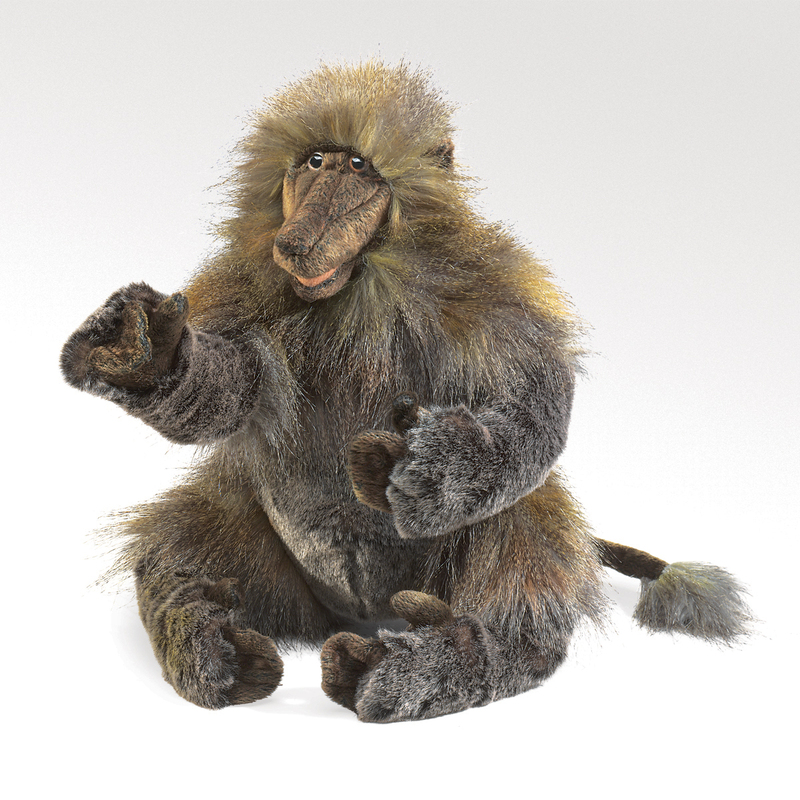 The Folkmanis Baboon puppet was finally released in January 2012. Discontinued in December 2016. Limit one per customer.